1. This is a K-12 practitioner’s conference. 2. 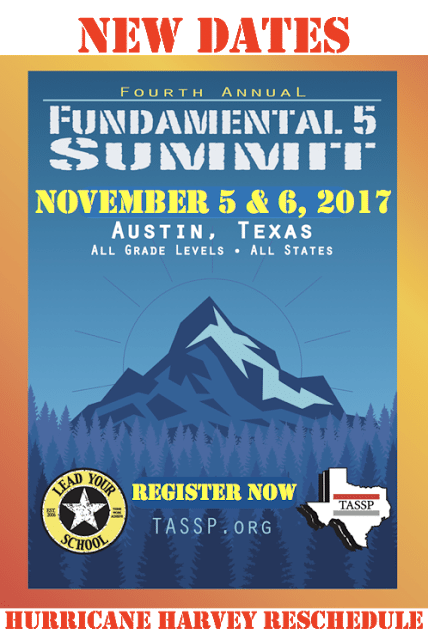 The presenters are from real schools using successfully using The Fundamental 5 every day. 3. You will get to network with some of the best educators from across the country. 4. The average November temperature in Austin is 73 degrees. 5. The keynote speaker is Sean Cain (I hear he is pretty good), co-author of The Fundamental 5 and a nationally recognized school improvement expert.